147% in earnings per share. The workplace is changing at an unprecedented pace. You can take advantage of our groundbreaking research and powerful implementation strategies to stay ahead of the trends and position your organization to be an exceptional workplace that attracts and retains top talent. Data-driven organizations are 23x more likely to acquire customers, 6x more likely to retain them and 19x more likely to be profitable than organizations that don't use data in their decision-making. Data-driven decision-making always wins over guesswork. Partner with our experts to pinpoint the right data and analyze it to strategize for the future of your business. We also help you build the right culture for prioritizing necessary behavior changes -- based on what the data say. people across the globe have discovered their CliftonStrengths. For your workplace to win in the future, you need to create a strengths-based culture today. Use our CliftonStrengths solutions to discover and develop what your people naturally do best. You will empower your managers, maximize employee performance and, in the process, boost your results on the metrics that matter most to your business. 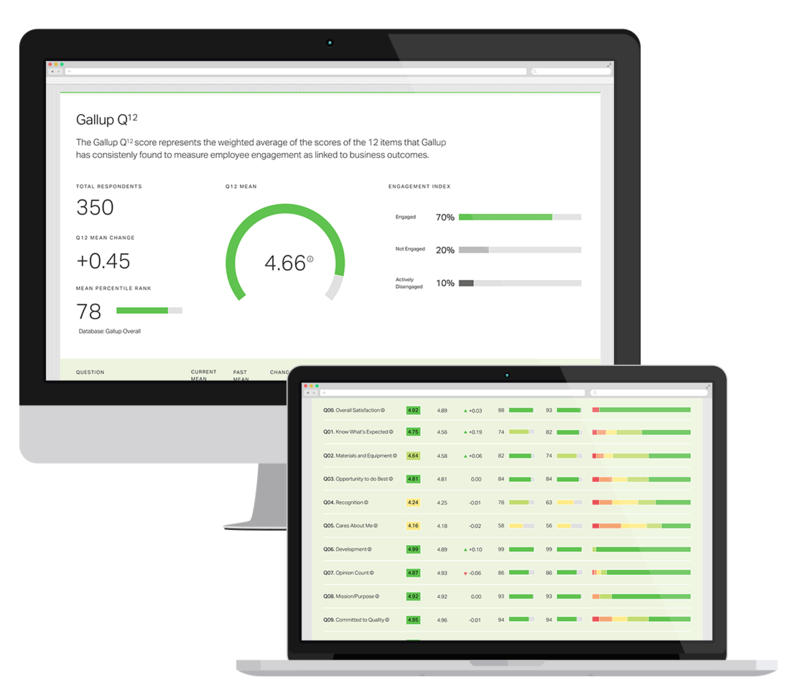 Ask the right questions, analyze your results and act with a clear path using our online platform, Gallup Access. It includes all the tools and resources you need to manage -- and strengthen -- workplace performance. Just 11% of all U.S. college graduates are thriving in all five elements of well-being. Create an environment in your school or university where students can identify and use their strengths every day. We're leading research into the future of education and creating specialized solutions and tools so schools can help students have great jobs and great lives.